Located in the heart of the city, facing the wonderful Via Roma, Blanco is a unique stylish b&b. 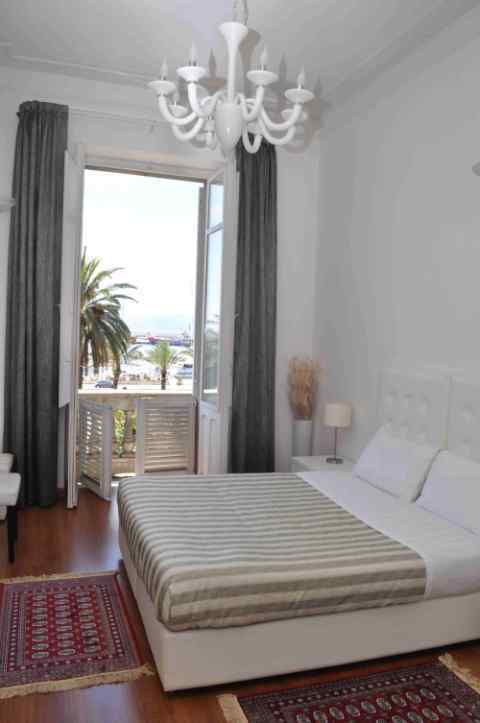 Recently renovated, has a spacious and bright living room that offers a stunning view over the sea. The three rooms are provided with top rate facilities (en-suite bathroom, air-conditioning, LCD TV), and furnished with style and comfort, down to the very last detail. The B&B also offers its guests an ample common room with panoramic view, where self service breakfast is available.